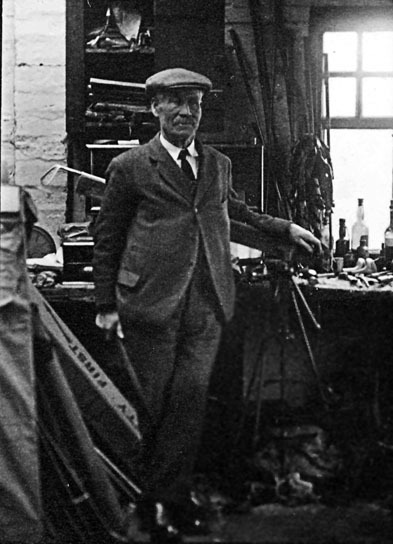 John Duncan was born in Earlsferry (the other half of Elie), which was also the home of James Braid, in 1861. He began his professional career at Peebles, in the borders, in 1893 before taking up a position at Glasgow Kelvinside. In 1901 he became professional at Stirling (following Young Tom Morris which was quite an act to follow) but remained in post there until retiring aged 74 in 1935. Club members still compete for the John Duncan Trophy. During his tiime at Stirling he also found time ro design the courses at Killin, Kenmore and Dunkeld in Perthshire. Image courtesy of Stirling Smith Art Gallery and Museum.